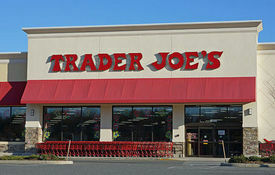 Westwood, N.J.—An employee of Trader Joe’s supermarket is recovering after an out-of-control vehicle jumped a curb and pinned the employee against shopping cart racks. The automobile accident occurred at the Irvington Street store shortly after 3 p.m., reports CBS New York. The driver of a Toyota Camry, who is said to be in her 70s or 80s, jumped the curb and subsequently hit the employee and pinned the victim between the vehicle and the shopping cart racks, severing the victim’s leg. Good Samaritans put a tourniquet on the victim’s leg to stop the bleeding until emergency medical crews arrived at the scene. A helicopter transported the victim to Hackensack University Medical Center for treatment. The victim’s current condition is unknown. It is also unknown if the driver of the Toyota will be cited for the accident.